CRYSTALS TO ENHANCE YOUR LIFE..
EarthSynergy has a wonderful range of crystals products, including loose tumbled stones, crystal healing sets, pendulums, crystal jewellery and massage stones. There is no denying the attraction that we feel towards these lovely gems, gifted to us from Mother Earth, and more often than not – the crystals that we are most attracted to, are the ones that we need to heal ourselves. 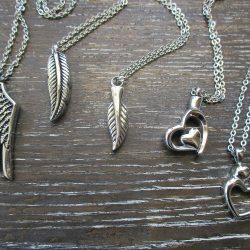 EarthSynergy also carries a great range of lovely memorial keepsake jewellery. This special purposeful jewellery has a hollow cavity which enables you to keep your loved ones ashes or lock of hair with you always, close to your heart. Some of these pendants have a larger capacity, but most are designed for holding just a tiny amount of ashes. They are made of high grade stainless steel, an affordable, resilient and durable alternative to sterling silver. BROWSE OUR RANGE OF PRODUCTS..